Guest at the 48th Annual Swan Ball enjoyed an amazing performances from headliner Burning Las Vegas and the Craig Duncan Orchestra. In the Late Night tent the guest were enthralled with the performance of The Atlanta Allstars. All the patrons thought they were fantastic. 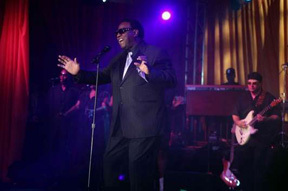 14 Karat Gold Dance Band Plays a Night To Remember. 14 Karat Gold Dance Band played a spectacular event on April 10, 2010. Jamie & Stephen's wedding reception was full of magic! 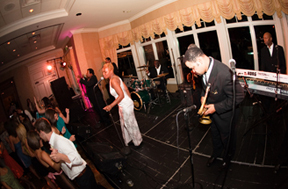 When 14 Karat Gold Dance Band got up on stage at Hillwood Country Club and started playing you could tell that all who came were excited to be there. With the horns blaring and the singers bringing it, the dance floor was full all night!